Beth and Patrick are a blast to hang out with. From their in-depth knowledge of Jurassic Park to ridiculous jokes about dinosaurs that involve silent p’s, there’s never a dull moment. It also doesn’t take long to figure out that they’re big Jurassic Park fans. It makes sense… their first date was watching an outdoor showing of it in Boulder. 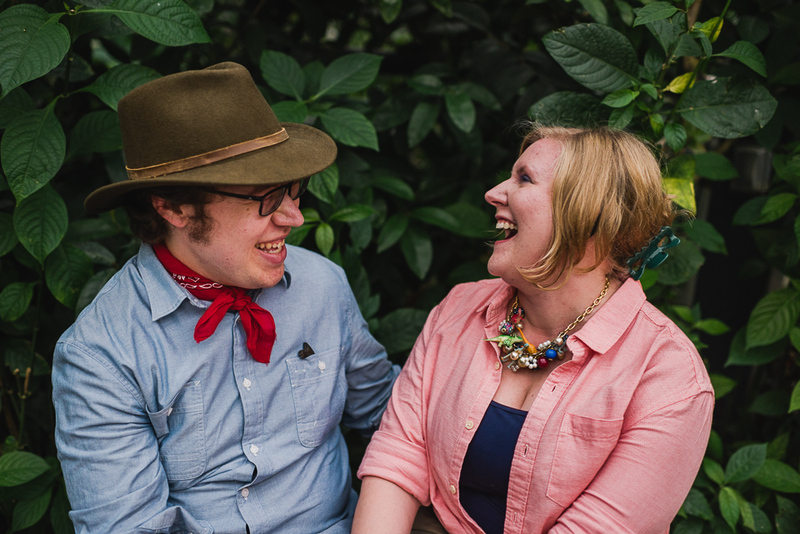 As an homage to Jurassic Park, we shot their engagement session at the very tropical Butterfly Pavilion in Westminster and they dressed up as, who else, Ellie and Alan. Maggie and Michael Are Engaged!